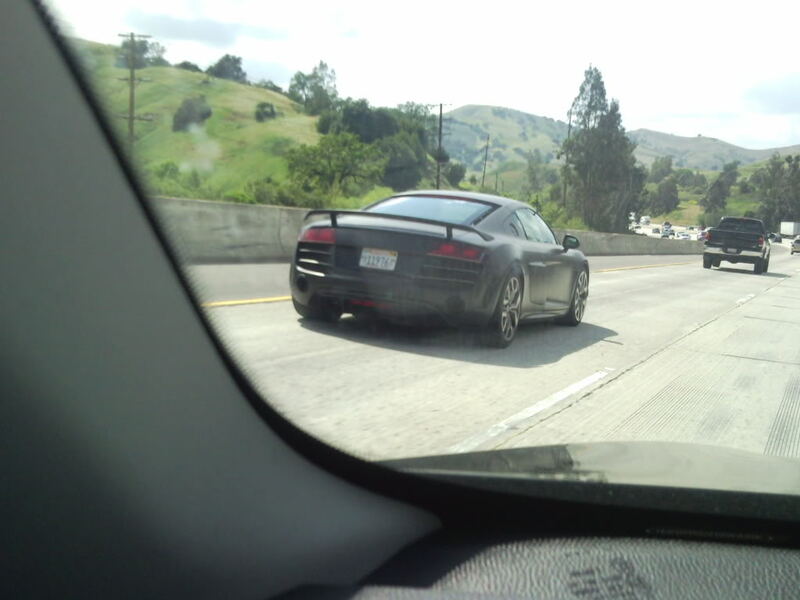 An Audizine forum member had a rare sight last week, capturing what may be an Audi R8 GT (or "clubsport) prototype in - of all places - Southern California. Typically sights like this only occur near locales such as the Nurburgring or Ingolstadt. 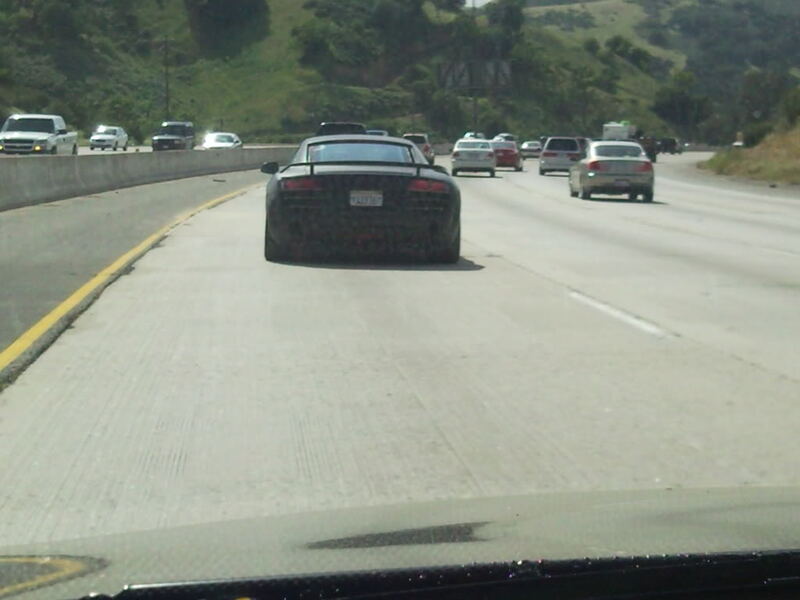 Leading us to our next question, is this an R8 GT test mule? And if so, what is it doing in America? We took our time and gave these photos a hard look. Comparing against earlier spy shots of Audi's new, rear-wheel drive, "hotter" R8, we tend to think this is the real deal. 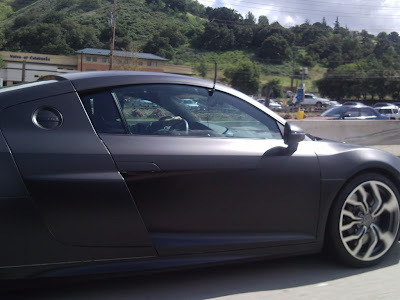 Aside from the obvious rear spoiler, note the vents behind the rear wheels - considering we can't see the front of the car, these vents, rear spoiler, matte finish and obvious lack of badging all lead us to believe the car pictured may be a R8 GT test mule. 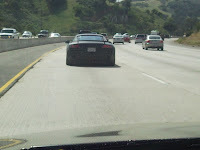 Still, we have no idea what this car is doing in California, but we'd love to know. For more information on the upcoming Audi R8 GT, check out AutoCar's recent intel.